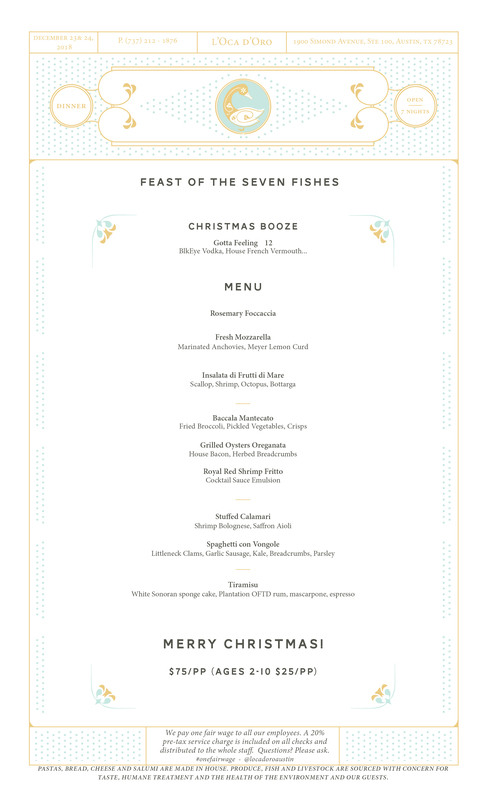 Join our Italian family tradition of celebrating La Vigilia, also known as Feast of 7 Fishes, this Christmas Eve. Chef Fiore will be sharing his favorite meal of the year—7 sumptuous seafood dishes—in 4 courses, served family style. To encourage the spirit of the holidays, we invite you to eat, drink, and be merry with your neighbours at our communal tables.